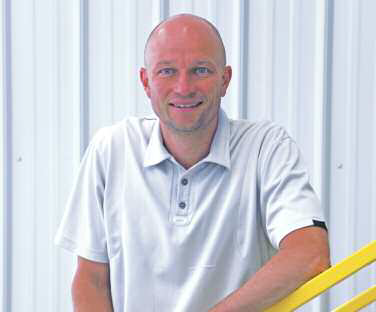 With two locations in Montana, Big Sky Collision Center is a second generation business run by Matthew McDonnell, 39. McDonnell is a passionate, extremely hands-on and highly innovative owner – but for many years, it looked as though he would not be working in the collision industry at all. Eventually, McDonnell decided to take on the reins at Big Sky Collision Center. As of January 2017, Matthew owned 96 percent of the company and was ready to instill his vision in both shops. The award-winning Matrix Wand is a handheld 3D electronic blueprinting and repair measuring device for structural collision damage. It uses a 3D camera to capture images of damaged vehicles. These images are analyzed using Matrix computer software. Estimators and repair technicians can use the images to measure and correct sway, sag and mash using infinite data points. Shop COO Nick Rodgers (left) and Body Technician Bryan Clark (right) use the Matrix Wand as they pursue the ultimate repair on every vehicle. By using the Matrix Wand, the estimators at Big Sky Collision Center can measure undamaged vehicles to create their own bank of repair data and specifications. McDonnell covets this information because it is based on actual vehicle measurements and is 100 percent accurate, each and every time. The Matrix Wand is already an integral part of daily operations at Big Sky Collision Center. “We now have two units in both of our locations. They are kept in our estimating bays,” he said. “The Matrix Wand System was easy to learn quickly; all of our estimators know how to use them. McDonnell added that by using the Matrix Wand, he is strengthening his position with a lot of insurance partners. Big Sky Collision Center is on a two-way street with Matrix. Matthew has been asked to help test the new Matrix Active Map 3D software. This new application allows technicians to fully integrate The Matrix Wand into the repair process. A structural repair technician can now repair or replace a structural component with confidence. 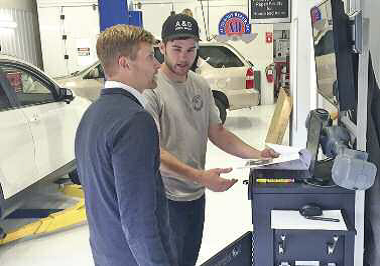 Big Sky Collision Center is using the Matrix Wand on 75 percent of vehicles that come into their two locations, and McDonnell couldn’t be more pleased by the results.